Brave the chill in a kilt. 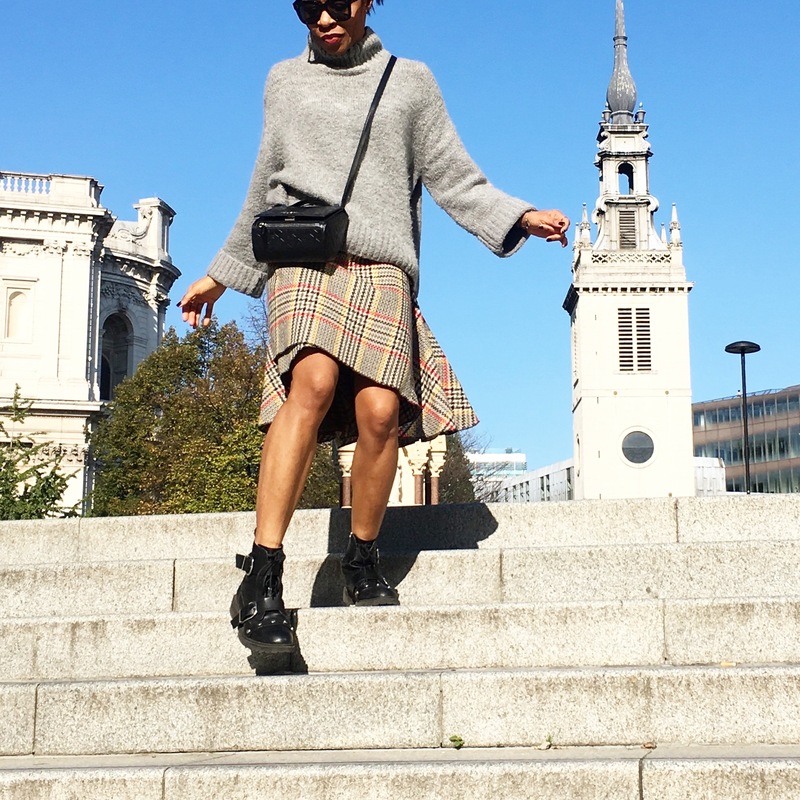 Worn right a kilt can be very flattering and chic – the ultimate trans-season piece. However, it’s easy to be put off by the quality on offer on the high street which isn’t always great. Then there’s all that tartan! Still, if you are prepared to channel your inner Braveheart, scroll down for tips on how to nail the look. Kilts are traditionally made to measure however most kilt makers will also offer a limited range of ready-to-wear. While it’ll be more expensive, I would suggest going for the made to measure option if possible. My gorgeous skirt is by London-based label Susy Harper. It was made to measure so it fits perfectly and I got to choose the fabric (an added benefit for those not so keen on tartan!). #1. We are aiming for chic and prim not skater girl so avoid the mini versions. Knee length or thereabouts is ideal. #2. Traditional fabrics for kilts like wool or tweed are best for this look. Whether or not they are in tartan is up to you! #3. Girls, this look calls for bare legs. Add thick socks (or fake tan!) if you must but absolutely no tights. #4. Going casual? Pair with a chunky knit and some stomping (ankle) boots. If you need an extra layer add a chunky scarf or a leather jacket. #5. 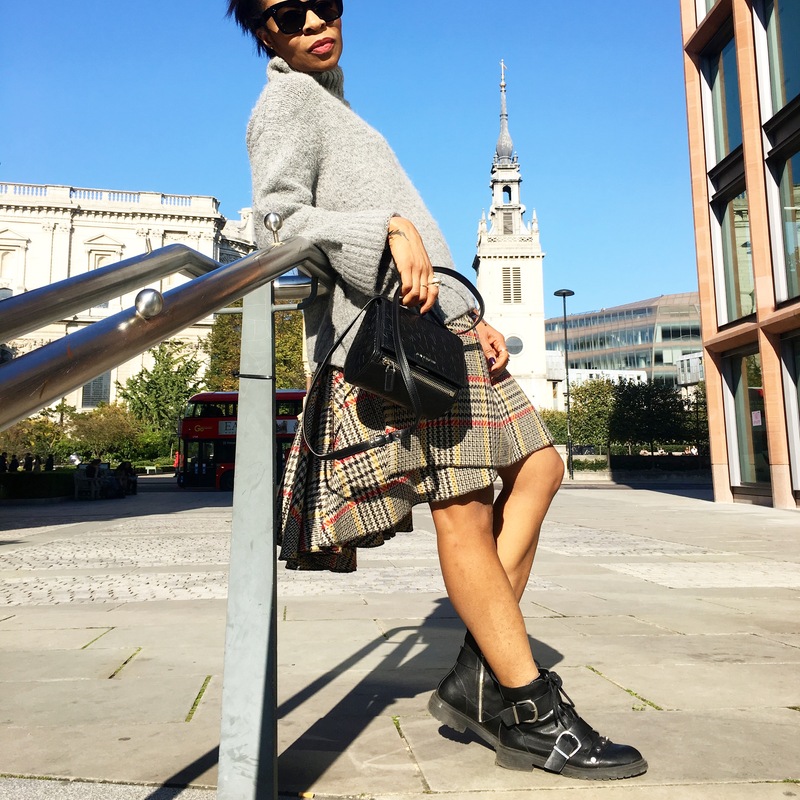 For a more polished looked or for work, swap the chunky knit for a slim-fitted polo neck and the ankle boots for heeled pumps or Mary Janes (heels or flats). Slim-fitting knee-high boots will work well too. For an extra layer add a tailored knee length coat. #6. Be prepared to invest* a little for quality, it is totally worth it. *What you end up paying for a made to measure piece will ultimately depend on your choice of fabric, style, etc. but you should be able to get a premium quality kilted skirt at around the £150-£200 mark. The price range for men starts from around £300. 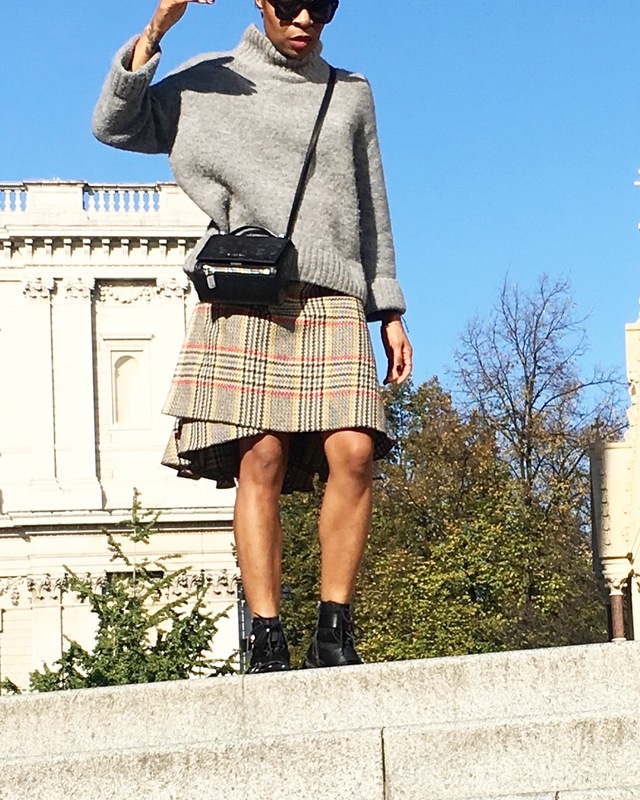 There are also high end ready to wear options for those really looking to splash out (Christopher Kane, Alexander McQueen, Burberry and Opening Ceremony have all featured kilts in recent collections and fashionistas’ favourite Le Kilt has them all year round) but I don’t much see the point. Given the choice, I’ll go for a made to measure artisanal piece every time! Need help sourcing good kilt makers? Drop me a comment and I’ll be happy to help you out with some names! ← Shorts in Autumn? With a bit of sun and a chunky knit, why not. Your article is eye catching, take a look at our kilts. Looking great, Addie, love that look on you! Hard to believe it’s winter with that beautiful blue sky, isn’t it? Enter your email address to subscribe to MyStyleArtist and receive notifications of new posts by email. Copyright © 2019 My Style Artist.